The defending World Series champion Houston Astros look to stave off elimination when they host the Boston Red Sox for Game 5 of the American League Championship Series on Thursday at 8:09 p.m. ET. The Sox are up 3-1 in the best-of-seven series, one victory away from the World Series. The latest Red Sox vs. Astros odds show Houston as a solid -185 favorite on the money line, meaning it would take a $185 bet on Houston to win to return $100. Conversely, a $100 bet on Boston (+165) would net $165. The Over-Under on runs is 8. Before you make any Red Sox vs. Astros picks, you need to see what SportsLine's advanced computer model has to say. This model simulates all games 10,000 times to create money line, Over-Under and run line picks. It's nailed five of its last six picks in this series, and in Thursday's case, it's revealing considerable value picks on the money line, over-under and run line selections. 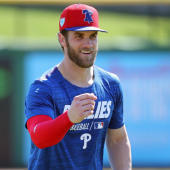 Now, the advanced computer has broken down every conceivable pitcher-batter showdown and is sharing its picks exclusively at SportsLine. The computer takes into account the recent resurgence of the Red Sox. After losing Game 1 at home 7-2, Boston has taken three in a row, scoring 7-8 runs in each instance -- and all at an underdog price. Game 4 went Boston's way 8-6, but it could have gone a different way had Red Sox OF Andrew Benintendi not made a spectacular diving catch to end the game Wednesday night. Houston likely would have won in walk-off fashion had Benintendi's risk not paid off. Boston is again the underdog for Game 5, but for good reason. The Astros are going back to Justin Verlander (16-9, 2.52 ERA), who held the Sox to two runs in six innings in a Game 1 victory. In 19 home starts, Verlander has held opponents to a .193 batting average. The Astros' offense, which is averaging a solid five runs per game this series, faces off against a struggling David Price (16-7, 3.58). He was tagged for three runs over 1.2 innings in a loss to the Yankees on Oct. 6, and gave up four runs in 4.2 innings in Game 2, which Boston won 7-5. During the regular season, Price had a pair of quality starts against Houston, allowing five runs over 12.1 innings. Overall, Boston is a stellar 23-8 when Price gets the ball. Boston and Houston have the same number of hits (32) and doubles (9) this series, two fewer home runs (5-3) and five fewer walks drawn (23-18). But where the Sox have excelled is in clutch situations. Boston is batting .333 with runners in scoring position, compared to .243 for the Astros. We can tell you the model likes the Over 8 runs in over 60 percent of simulations, and it's also found a strong value on one side of the money line. Which side of Red Sox vs. Astros has all the value on the money line on Thursday? Visit SportsLine now to find out, all from the computer model has nailed five of its last six Red Sox vs. Astros picks.